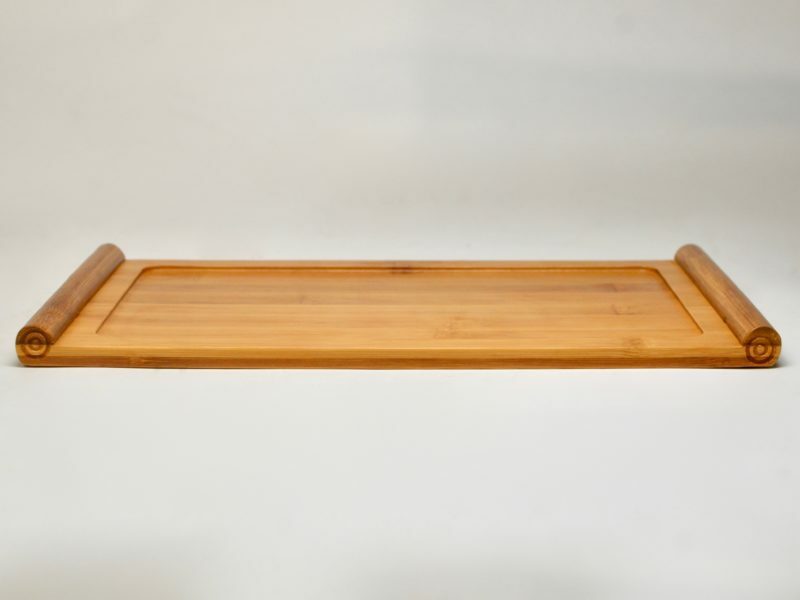 An ancient book bamboo tea tray carved in the shape of an ancient scroll. A good small tray for for enjoying simple tea service. This small ancient book bamboo tea tray is carved in the shape of an ancient scroll opened and laid flat. The raised ends of the scroll make it easy to hold. Great for enjoying simple tea service.